You might expect a celebrity like Sarah Jessica Parker to have her own fragrances (she does) or line of shoes (she has that too). But it might be surprising to learn that the award-winning actress is a prolific reader whose passion for books led to a collaboration with Crown Publishing as editorial director of SJP for Hogarth. Parker’s goal of producing literary fiction with a distinctly multicultural bent has already led to one New York Times bestseller, 2018’s A Place for Us by Fatima Farheen Mirza. This novel follows an Indian family dispersed by choice and circumstance but brought together for a wedding, and possible reconciliation. The imprint’s success continues with SJP for Hogarth’s second selection: author Claire Adam’s Golden Child. This emotional powerhouse of a novel is compelling and evocative, the kind of reading experience that reaches in and won’t let go. In Golden Child, the debut novelist explores her homeland of Trinidad, a lush country that is nevertheless laced with unexpected dangers and threats. Hardworking father Clyde Deyalsingh and his wife Joy are raising their twin sons Paul and Peter in the bush. The family lives simply but quietly, avoiding trouble, proud of their modest home and property. Of the two boys, Peter is the bright star. He is gifted, a scholar whose devotion to learning is a source of fierce delight to his parents. A beloved uncle heaps special attention on Peter, imploring Clyde and Joy to make sure Peter receives every opportunity to seek a life beyond Trinidad’s shores. Paul, on the other hand, is the burden. He has strange fits; he is awkward, unhealthy, doesn’t settle well. Family lore casts him as having mental delays, a well-worn chorus that both boys come to internalize. When a priest suggests that Paul might have more potential than his parents realize, Clyde is incredulous—Peter is the one, he insists. Surely anyone can see that? When the book opens, 13-year-old Paul has walked into the bush after a fight with his father. Initially Clyde is more annoyed than concerned. Paul is, after all, somewhat wild and prone to strangeness. It is only Joy’s urging that prompts Clyde to embark on a search for his son. But as night falls and Paul does not return, a frightening possibility begins to descend: that the break-in the Deyalsinghs recently suffered might have led to something else. The family’s life, we learn, is more complicated than it seems, and their survival depends on an impossible choice. Adam’s prose is evocative and suspenseful, becoming ever more so as the book progresses and more of the family’s history is revealed. This heightened emotional tension compels the reader, even as a sense of foreboding builds like a storm brewing in the tropics. 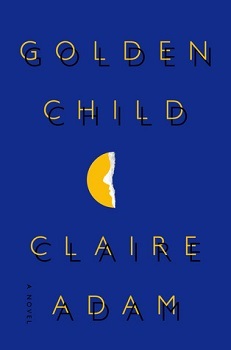 Though the backdrop may be new to readers, the themes of Golden Child are universal: the love of family, the need for sacrifice, and the lengths to which we will go to see a dream made real. Mary Kinser is a Collection Development Librarian for Whatcom County Library System, where she selects fiction, DVDs, music and audiobooks for adults. She can almost always be found with a book in her hand.